The Jackson 7042C is a luxurious rectangle bath with raised seats, sculpted armrests, extra deep bathing well and built-in lumbar back support. Integral grab bar adds convince. Raised seat keeps the bather from slipping along the tub floor. 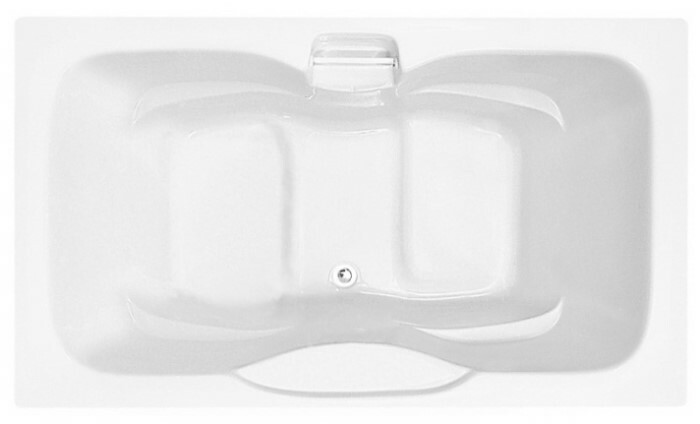 Center-side drain allows for the option of two bathers lounging face-to-face. Drop-in bath installation. This bath will provide a the perfect bathtub for a deep soaking tub and even keep the water warm in the HotSoak. For water movement, the air tub creates vigorous bubbles or the DriftBath moves the water like a stream. Tub Size: 71 1/4" x 41 3/4" x 24 1/2"